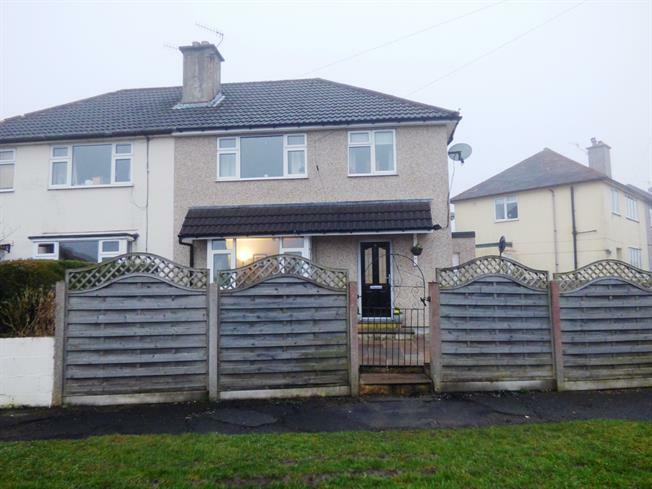 3 Bedroom Semi Detached House For Sale in Buxton for Asking Price £195,000. SOLD IN 1 HOUR.The stunning open plan kitchen diner is the centrepiece of this dramatically improved property that has been completely transformed inside and out by the current owners. Access to the property is through either the main entrance hall or a superb side porch/utility both of which lead into the spacious and stylish kitchen diner, with a bay fronted living room completing the ground floor accommodation. There are then three well proportioned bedrooms all with built-in wardrobes to the first floor, plus a refitted bathroom and a roomy landing. Externally the property itself has been re-surfaced with the gardens and parking extensively landscaped with Indian Stone paving. Other features include gas central heating and upvc double glazing throughout and there is scope for future extension if required. Viewing is highly recommended.